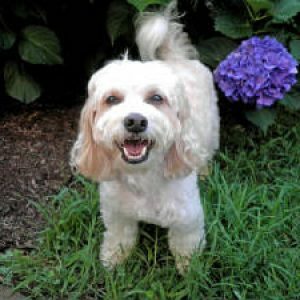 Six years ago on May 9th (2010), my cavachon TJ (Total Joy) was born with your loving attention. I am thinking about adopting another beautiful boy (or maybe girl). Would you please contact me with information, and maybe pictures of available puppies? Thank you for changing my life for the better with TJ, who, by the way, has been a certified therapy dog for almost 5 years. We visit 2 nursing homes each week.